Fetch your things from the office and just take public transport (LRT or Commuter) to PWTC station. Then, walk a little bit then voila you will arrived at Halaman Haji Saad. Chef Haji Saad and his team will make sure that the guest will get to taste dished authenticity that they served during the holy month. There are so many stalls that they provided for the guest to ensure that you go back home with a happy stomach. 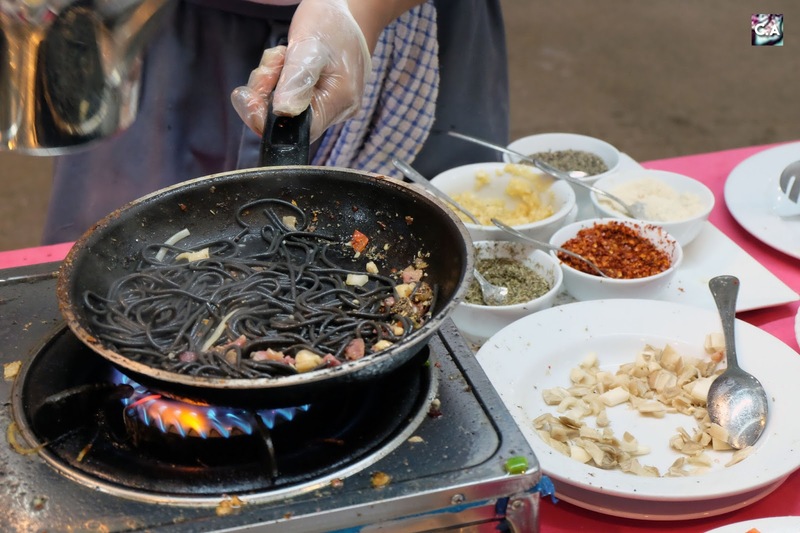 One stalls provided salads and traditional fare such as Sambal Belacan, Cencalok, Budu, Tempoyak Cili, Sambal Nanas, Sambal Mangga and Sambal Gesek. So that's recommendation for people who want to start with light dishes first. Some of the stall at outside of Pacific Ballroom. 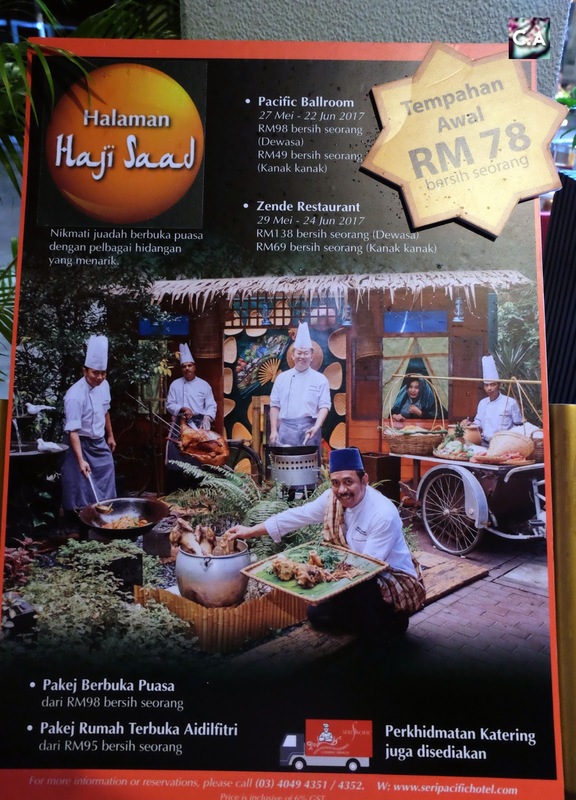 Other than that, traditional cuisines like Kambing Golek, Bubur Lambuk, Serunding Daging Ayam, Briyani Gam, Nasi Kandar and Sup Gearbox which are some of the Malays "must tries" at the hotel. When I arrived at the hotel, I can see two long lines at Kambing Golek and Sup Gearbox. I get to taste their Kambing Golek but not their Sup Gearbox. I even heard that there are people take a large bowl of the soup and in order to do that you have to come early to taste the authentic one, not a mix of all the meat. Seating inside the ballroom. They also provided outdoor seating. Mostly that I mentioned here located at outside of the ballroom. But there are also some stalls that will be set-up in the Pacific Ballroom. 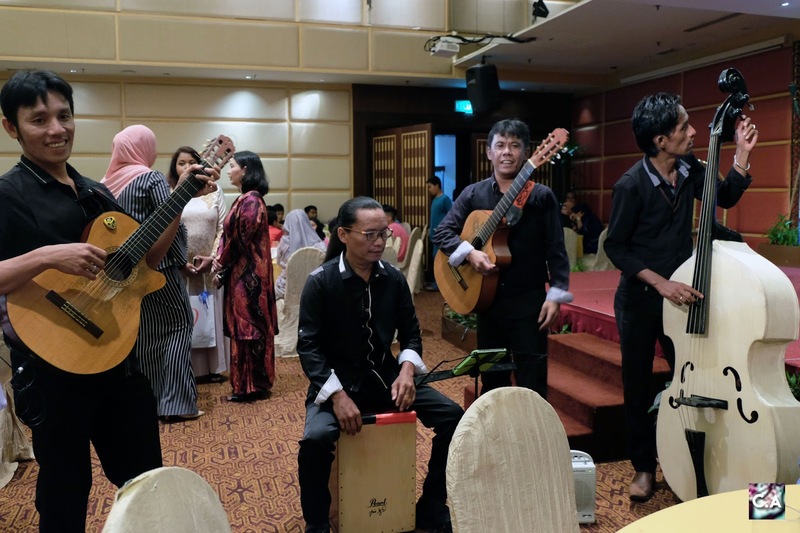 When you walk around the ballroom you will found mostly traditional dishes such as Sup Ekor Mamak, Sup Ayam, Daging Salai Masal Lemak Cili Padi with Pisang Muda, Udang Goreng Kunyit, Ikan Siakap, Kukus Kuah Tauchu, Ayam Lemak Rebung Satandan Nipah Muda and many more! What more I forget? Aha! 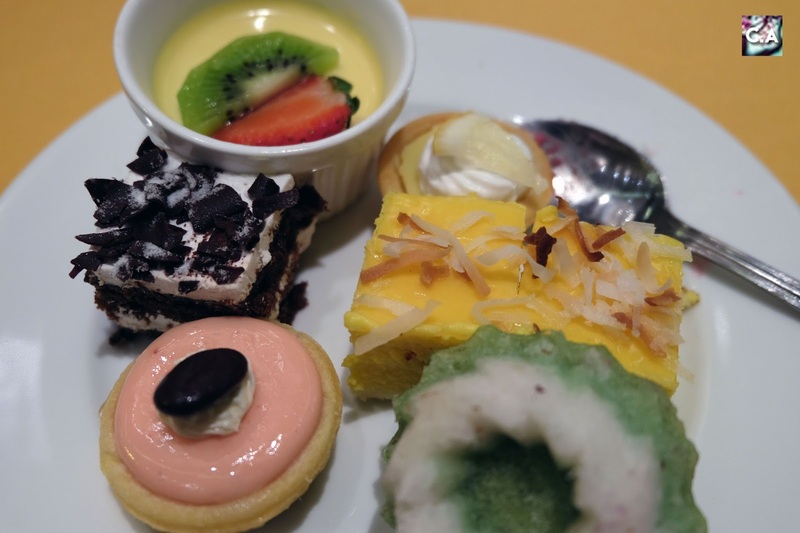 For you sweet tooth out there, Seri Pacific Hotel provided a tons of desserts just for you, such as Bubur Cha Cha, Pengat Ubi, Bubur Kacang Hijau with Durian, Pulut Hitam, Pengat Pisang and others. On the day of tasting, I didn't have a mood for the dessert but I did taste a little bit since Cici Ocin grab some of it. Personally I'm not much of a fan of this type of dessert, but I do like Kuih Seri Ayu (the green one at the bottom of the plate). 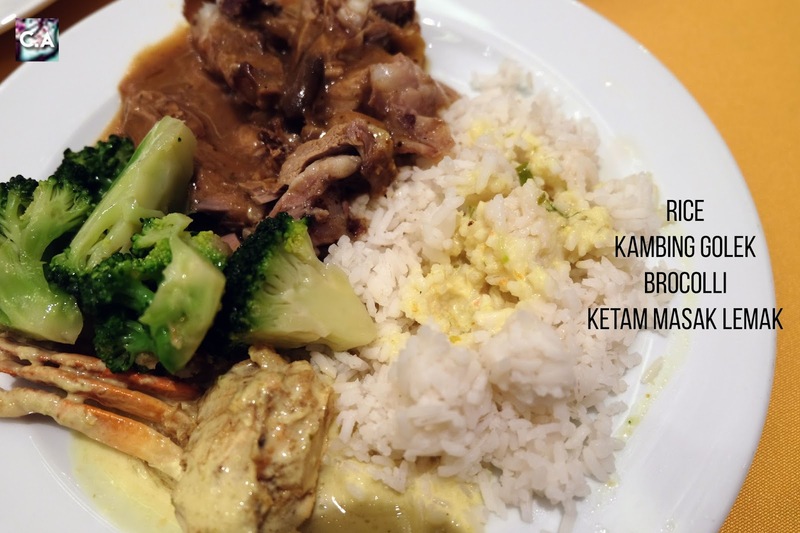 I did get some few things to munch, and the first one of course I grab a rice with Kambing Golek, Brocolli and Ketam Masak Lemak. Truth to be told, I like this simple dishes that I get on that day because everything was good just like a normal daily dishes. 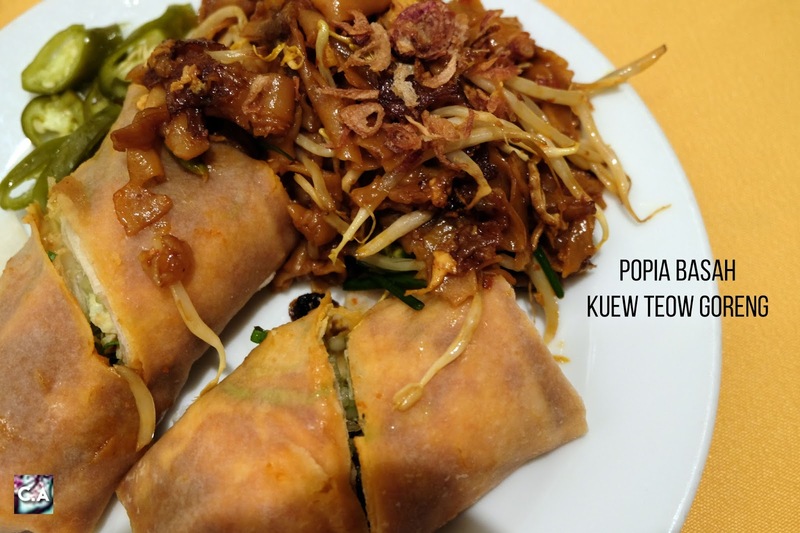 Then, I get Popia Basah and Kuew Teow Goreng. Did I tell you that there are some of the stalls that made the food from scratch like this Popia Basah. There a lot of fill inside of it, taste good but not that overwhelm because I have already found my favourite Popia Basah (located at Pasar Malam Selayang). Nothing could go wrong with Kuew Teow Goreng if you cooked it right and yes you can taste the flavour on this one. I think I can eat just this repeatedly if I have an empty stomach. Last but not least, I didn't feel full yet so I grab some international dishes, like this pasta. 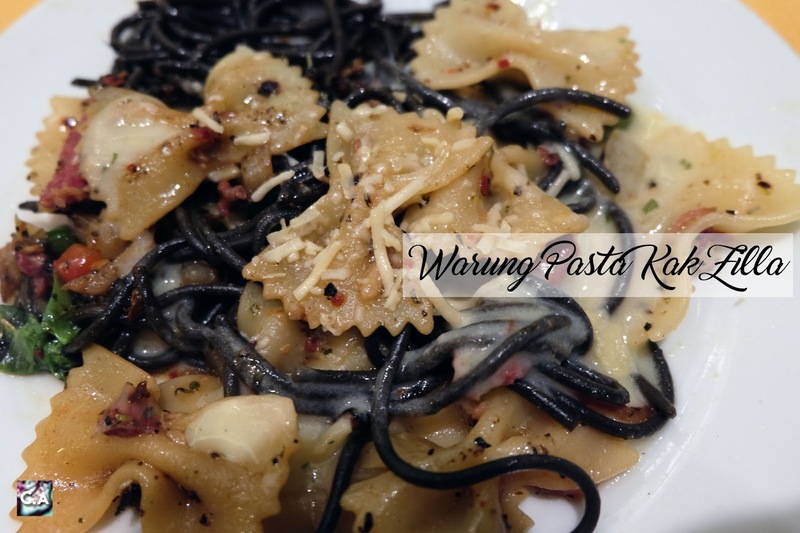 Again this stall is cook to order and you have two pasta to choose from such as Ribbon and Black pasta. I get both because I want to taste both of the pasta. Overall it taste normal for me because it was cook simple, with olive oil and garlic. Aside food, we are also entertained by this talented musician, they will go from table to table to performed for you! If you have any songs that you want to hear, let them know. I requested 'Hotel California' in a favour one of my blogger friends, Otomen Taro. But, the best part of that day is we get to break the fast with bunch orphanage kids. I'm glad that they are having fun in this holy month and I hope that this actions will be continue in the normal month also. 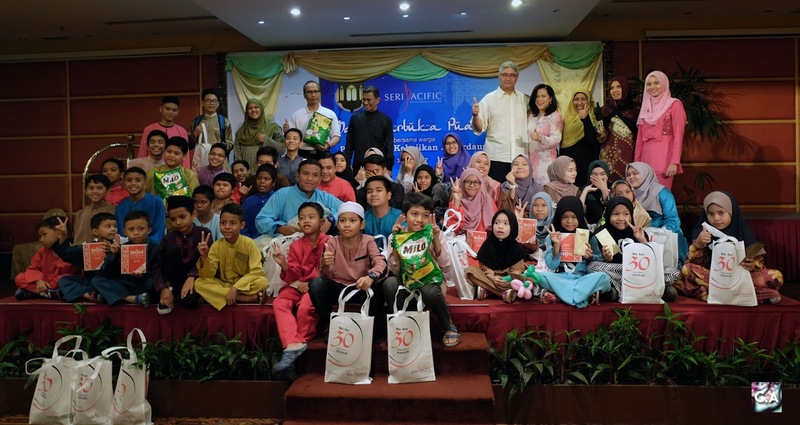 Before I end this post, of course I would not forget the core of every Ramadhan Buffet blog post. From 27 May until 22 June 2017, the price for adult is RM 98 nett while RM 499 nett for children. This price is specifi for Pacific Ballroom only. 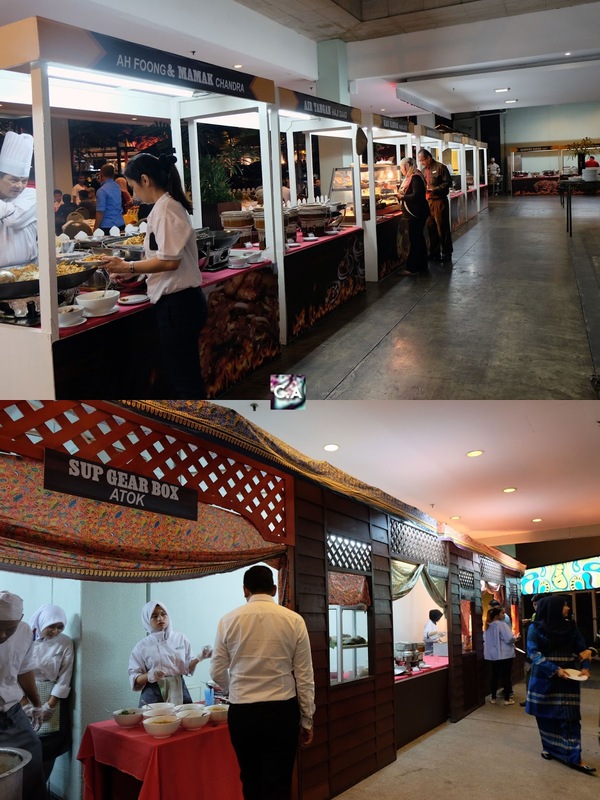 If you want to dine in and experienced gastronomic dishes, there are also Zende Restaurant, just for RM 138 nett (Adult) and RM 69 nett (Children). 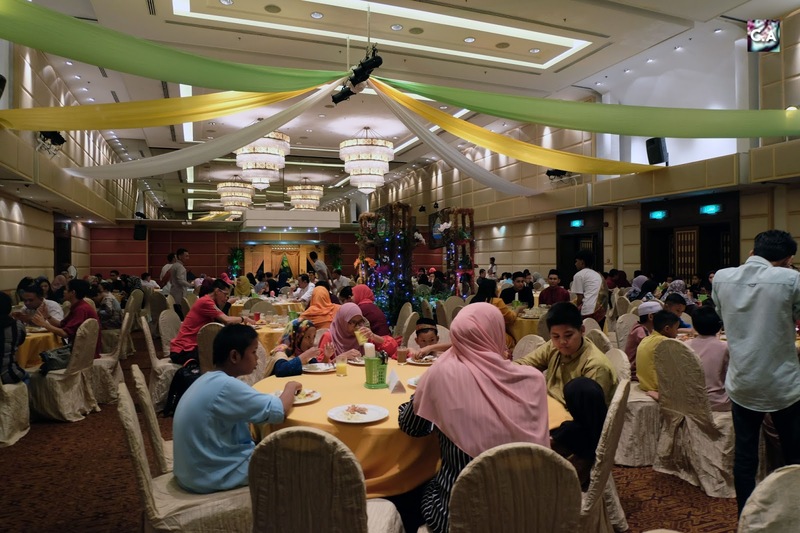 Other than that, Seri Pacific Hotel also provide private venues and outside catering services. If you are interested to do a reservation of enquiries, please call 03-4042 555 or 03-4049 4351/4352 or email fbresv@seripacific.com. Location: Jalan Putra, 50350 Kuala Lumpur, Malaysia.